Check the float switch near the bottom of your indoor unit. Remove the top of the switch and see if water is present in the switch. If so then a blocked condensate drain line is the most likely cause you may use a wet / dry vacuum to clear the blockage by attaching it to the drain outside and then use it to remove the water from the switch. It is still recommended that you contact a professional so that they can properly clean the drain line and the condensate pan as well as check for other problems. Check the circuit breakers for any that have tripped. To reset push the breaker all the way to the off position and then back on. If they trip again do not continue to attempt to reset them as this is a sign of a more serious issue. 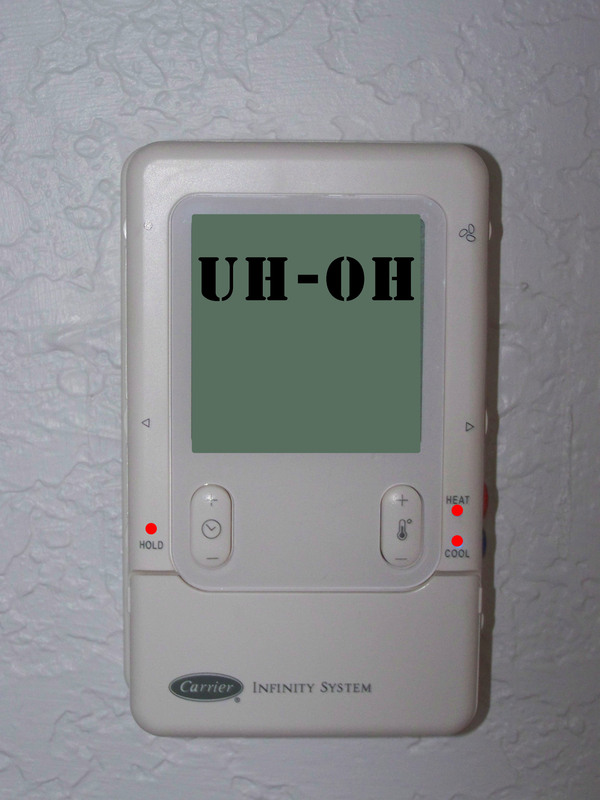 Look for disconnects near the indoor unit that may be turned off. 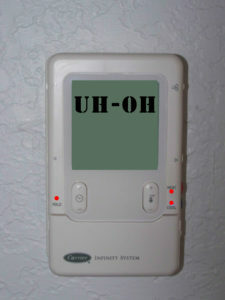 Many systems have disconnects that look very much like a common light switch. Look for places where the control (thermostat) wire may have been damaged by a lawn mower or other lawn maintenance near the outside unit. This is very common and usually results in a blown low voltage fuse. Look for signs of ice forming on the large insulated line coming out of the indoor unit, you may also see ice forming on the lines of the outdoor A/C unit. If so, first check you air filter and if it is very dirty remove it. 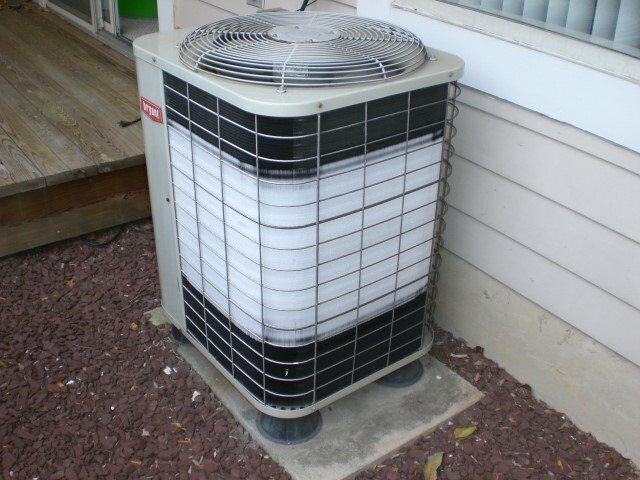 Shut the system off with the fan in the on position at the thermostat and place towels around the indoor unit as it may leak water as the system defrosts. Do not install a new filter for at least 4hrs as the indoor coil will need time to completely defrost. 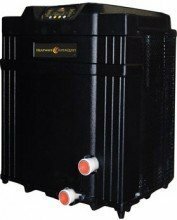 Once the system has fully thawed it is safe to install a new filter and run the system. It the frost returns, it is highly recommended that you contact a professional for a service call as soon you as you notice the frost. This can reduce the chance of water damage and reoccurring problems. Don’t just take our word for it. Check here for Energy.Gov’s suggestions to Common Air Conditioner Problems and Air Conditioning Troubleshooting. So there you have it. If we can be of any assistance or if your air conditioning troubleshooting isn’t helping the problem don’t hesitate call our office at (352) 243-7088! I bet you’ve run to the store a dozen times but did you ever think to check your air conditioner’s filter and get a new one? It’s easy to forget about air filter changes but it’s an important chore if you want to keep your system running at top efficiency. It’s a good idea to set up a delivery from FilterFetch.com each month to help you remember this small but necessary task. 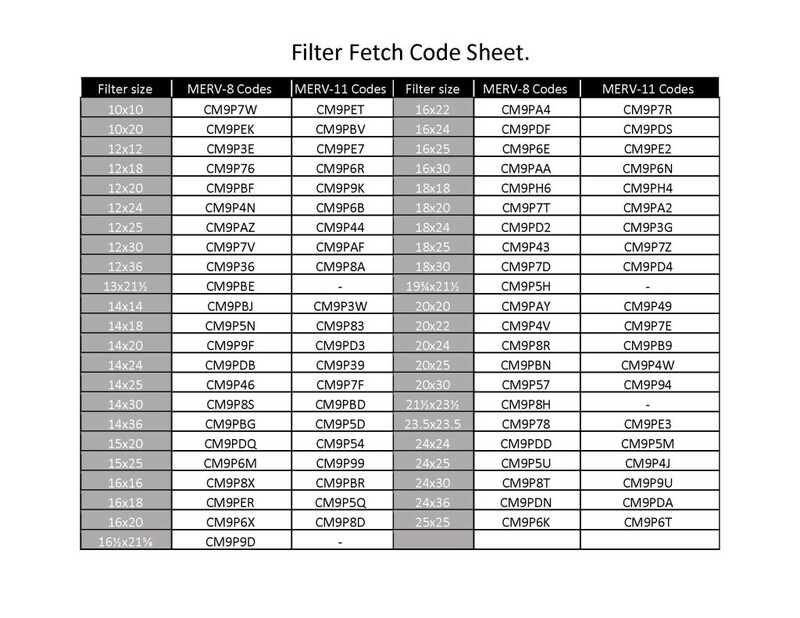 You will need a code from the chart below to order your air filters online. Have the correct size air conditioner filter delivered right to your home! 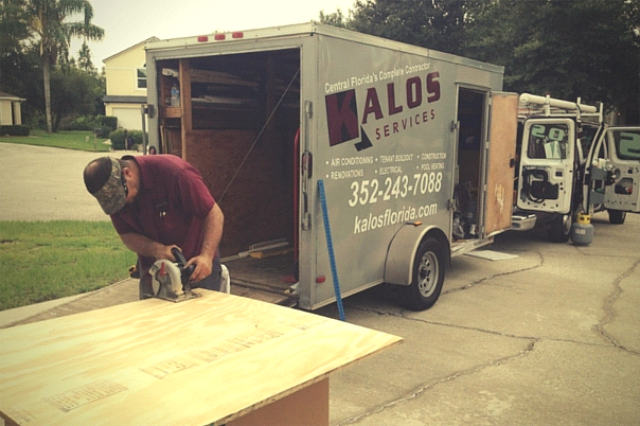 At Kalos Services we have worked with both short term and long term rental managers for over 8 years. We know how hard you work and how difficult your job can be. Over the years of doing Air Conditioning, Pool Heating and Electrical work, we have come up with some ides and guidelines that we hope will help you out. High Quality AquaCal Heater: Super Quiet! Today we will discuss the different types of pool heaters and some tips and ideas to try and make managing your equipment a bit easier. For a short term vacation rental home, a pool is becoming a staple of what guest desire in a property they are considering. We’ve found that Pool Heaters can be a great added feature when your guest is closing a booking on a home. Conversely when there is an issue with the pool heating the issue will cause a lot of guest complaints. This information below will hopefully help you avoid that, keep your customers happy and get great reviews and repeat business from them! There are typically two types of pool heaters a short term property manager will want to look into. Gas pool heaters and Pool Heat Pumps. Gas pool heaters make for very nice warm water which means you get fewer cold pool complaints. Unfortunately, gas pool heaters are more expensive to operate and they generally begin to have significant corrosion after only 5 year or so. Gas pool heaters do not cost as much to replace but they also do not come with very long warranties. Pool Heat Pumps are much more cost effective to run but they do not get the water hot as quickly. Pool heat pumps also cost much more to install, but they usually have warranties of 5 years or more. Generally speaking pool heat pumps will last 8-12 years before they experience a major failure. It is unlikely that most pool heat pumps (electric) will maintain the pools at 85+ degrees during days where the low temperatures drop near 40 or below, this is even made worse on days where the high temperature does not go above 60 degrees. 1. Turn them on several days in advance to make sure the pool is up to temperature before the cold snap. If you wait until it is cold outside to turn on a heater they may never catch up until the cold period ends. This is due to the way the heaters are sized and some heaters will do better than others. 3. Have the guests cover the pool at night – If you can get them to do this it will GREATLY assist in the pool temperature and power usage. 4. Do not run a heat pump overnight on a cold night. Many pool heat pumps will ice over and require manual defrost if you do this. As in everything, the temperature that a pool can maintain is directly related to the size of the pool and the capacity of the heater and every location will be different. Check out our pool heating page for more information! We are happy to help you with questions or training at any time. Give us a call and we will try to connect you with someone who has the answer. We would also be happy to speak at any of your company / organizational meetings or give onsite classes on the subject of your choosing. It is our pleasure to help and we look forward to helping you succeed. Bryan Orr – Co-Founder Kalos Services Inc.